We’re evaluating applications to build a wheelchair ramp for a local DMD family. Details will be shared spring of 2019. Here’s a video of a ramp we built for a local DMD family. Each year nearly 500 families from around the world gather at our Annual Conference to learn the latest progress in the fight to end Duchenne. They also gather for support, strength, and camaraderie. Registration for PPMD’s 2019 Annual Conference will open in March. PPMD will again be offering a support program for newly diagnosed Duchenne families to attend the Annual Conference. If your child has been diagnosed with Duchenne after January 2017 and you have never attended a PPMD Annual Conference and would like to attend the conference to gain a better understanding of Duchenne care and research, and to meet other families living with this diagnosis, please apply for this scholarship to waive your conference registration fees. * Our 2019 Annual Conference Newly Diagnosed Program application will open in February. For questions, contact nicole@parentprojectmd.org. *PPMD can offer conference scholarships to approximately 30 families on a first come, first serve basis. This scholarship covers conference fees only and does not cover travel or hotel accommodations. Kids Track and End Duchenne .1K are not included in this sponsorship. We’re working on a Christmas message we plan on sharing the night before Christmas. We hope you enjoy it. On December 6th, we’ll publish some ideas to make your holiday extra special. We hope some of these ideas bless your lives as much as they’ve blessed ours. Here is a video from a previous gift and blanket drive. Join us in 2018 as we lift little hands and hearts during times of trouble. We’re working on a Mitchell’s Journey video for Thanksgiving on finding gratitude. We’ll post it soon. 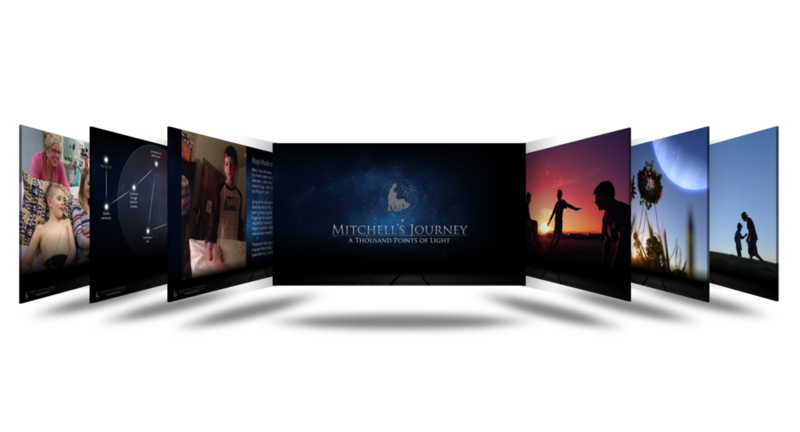 Mitchell's Journey will be speaking at a conference in Dublin Ireland sometime in the month of October. We'll share details as conference details solidify. On September 19th, we'll be sharing our story with the Love Your Story Podcast - a site dedicated to sharing the stories of others. We're excited to film Marco Simmons at his next fight. We're about to start compiling his fight and interview footage for the first version of our documentary about a man who fights to raise awareness of DMD and inspires thousands of little boys and their families to fight on. Chris will be giving a Keynote at the annual PPMD conference Saturday, June 30, 2018. More details to come. 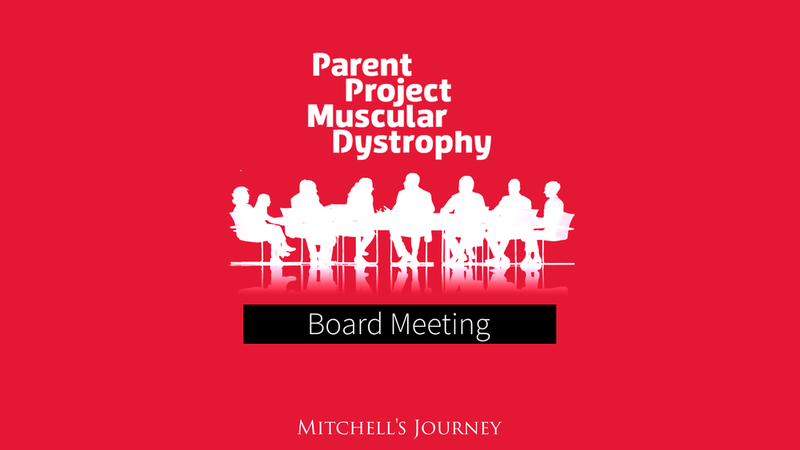 It continues to be an honor to serve on the PPMD Board as I watch how responsibly they run their foundation and lead the charge toward medical advancement, and improve care for patients and families who cope with DMD. Sweet Mitchell would have turned 16 this year. On April 29th, our family will be celbrating his life and the beautiful lessons he taught us through his quiet example. As Mitchell's birthday approaches, we'll be asking people all across the world to set some time aside to make moments matter with the ones closest to them. We'll also offer challenges to serve strangers with acts of love and kindness. Over $500 million in funding for Duchenne related programs at the National Institutes of Health, Center for Disease Control, and Department of Defense. A standard of care established for all those diagnosed with Duchenne, which has markedly improved the quality of life and extended lifespan. We hope you can join us in DC. This year includes a meeting on Monday called the "Duchenne Patient-Focused Compass" meeting, with invited members of the FDA, and other federal agencies to hear directly from Duchenne patients and caregivers. Today marks the anniversary of Mitchell's passing. We will spend time together as a family, remembering this sweet boy whose broken heart changed ours forever. January and February are typically our most quiet months as Mitchell's Journey spends a great deal of time developing new family resources that are published throughout the rest of the year. Stay tuned to learn what we'll release this year. This year, we'll be putting together gift packages for families who could use some help with presents for their families. These families are under intense financial pressure to support their child (or children) with DMD and many of their financial resources are swallowed up in medical expenses, mobility devices, insurance, and more. We will also be delivering blankets and toys to Shriners Hospital, the same hospital that cared for Mitch. We'll be sharing the workshop, A Thousand Points of Light to bereaved families in Omaha, NE. This is a tender telling of Mitchell's story, along with our journey with grief over the last 4 years. We'll share discoveries, insights, and tools we've found healing. In the month of December, we'll be releasing content focused on the theme of giving the greater gifts. Be sure to check out December and previous months. Between now and the end of the year, we'll be posting more exclusive content.